We value your time so we are always punctual and ready to fit your moving within our schedule. Get rid of the clutter in your old place by utilizing our cheap temporary storage facilities. Whether you are looking for a simple local move or you are moving across the country, you need to find a company, which you can depend. That is our mission as a business – your satisfaction is our top priority. 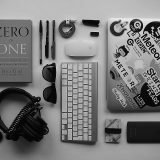 But we understand that in the modern day and age you want to be informed about each Sacramento moving company you consider working with. That’s why below you can read what we are all about! If you decide that we are the right company for the job, simply contact us to start your moving process. We believe that every client should be treated with respect and professionalism. You deserve the best service we are able to provide – always and without excuses. This is why we’ve invested in building a team of professionals with extensive moving skills. 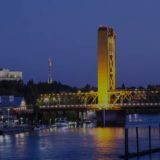 Our Sacramento moving company also employs a customer support staff, which is equipped to answer all your questions and guide you to through the entire process. Building trust with you is our goal and it all begins the moment you reach out to us. There are many Sacramento movers out there, but we don’t just take care of transporting your stuff – we are there for you through the entire process. Our services encompass things outside the area of item transportation. Our movers can do all the packing for you. 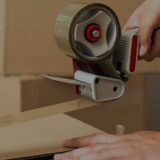 They are familiar with little-known tricks about efficient packing. Their moving experience has taught them how to handle even the most difficult situations, such as moving large and heavy furniture, and even robust musical instruments. You decide how much you want to be involved in the process! If you want a completely hands-off experience for yourself, you can get that. If you want to work with the experts of Vosco Moving, but want to do the packing yourself, you can do that! We can also work together under your guidance, so that the entire packing is done the way you want it, but without you lifting a finger. We know how important it is to provide services where people actually need them. Whether you want to move out of the busy downtown and into the suburbs, or you want to move closer to the life of the city, we are here for you! Keep in mind that we are also available for long distance moves. So if you want to move from the area of Sacramento to someplace further, or even to another state, you can depend on our services. Use our Free form request!